Hello, stampers, and welcome to another Monday. Can you believe Christmas is ONE MONTH FROM TODAY?! Eeeeek, I have to get my cards in the mail next week! I have about 50 done and need about 30 more. How many do you send out each year? Today's card is another one that I will be making in quantity. It was inspired by this card on SCS. 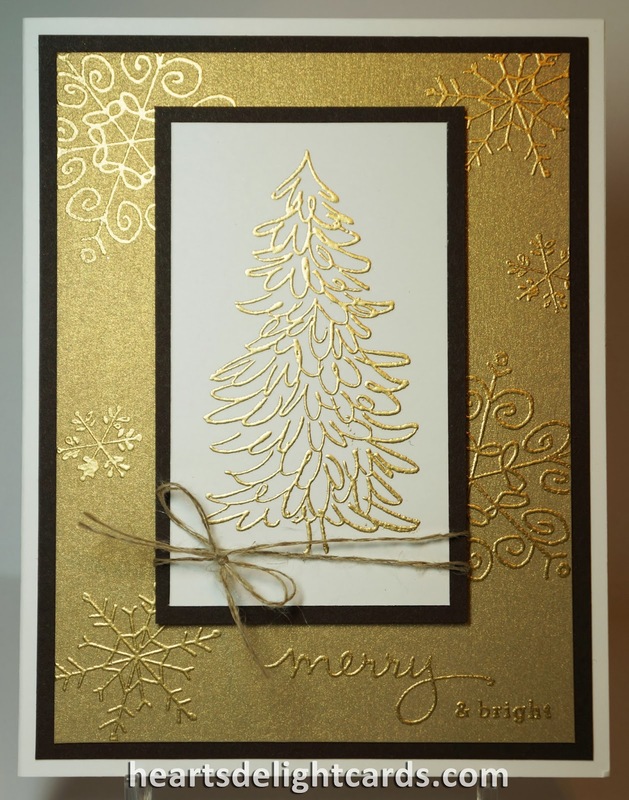 One of the ways to keep the weight down on your cards, if you are making multiple layers, is to cut the centers out of the mats, leaving just a frame. I did that on this card, and used the cut out piece as the mat for the image. 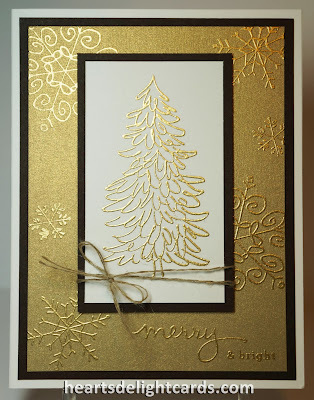 The Stampin' Trimmer makes it so easy! Just determine how wide you want the 'frame' sides to be. I made them 5/8" on this one, which left plenty of room for the adhesive holding the brushed gold panel. I love the Endless Wishes stamp set that was used on the brushed gold, but unfortunately, it was sooo popular that it's sold out already!